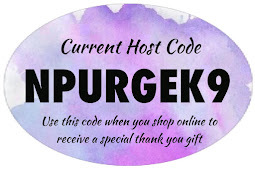 Welcome to the April Blog Hop! If you've just come from Em Robinson's blog then you are in the right spot. 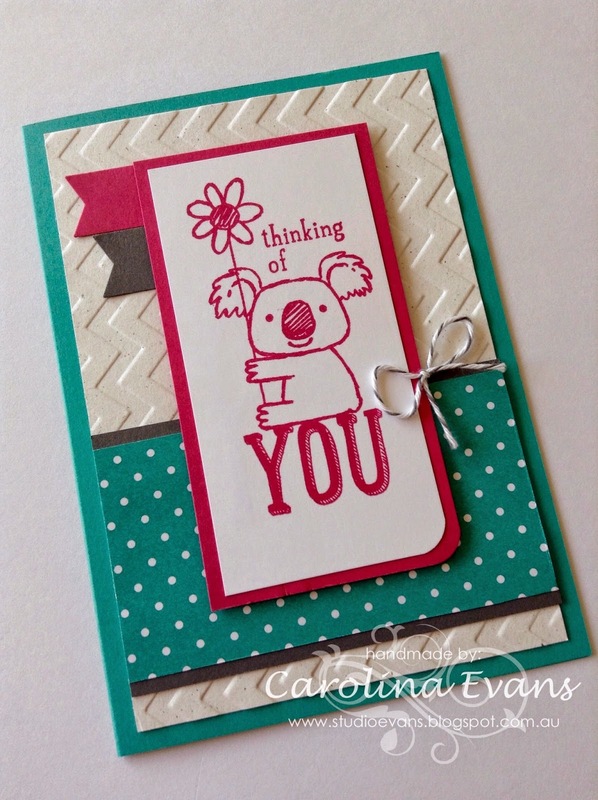 I have used the BRIGHTS family palette to create these cards that feature the very cute Kind Koala single stamp. This Koala stamps beautifully in any colour! The theme this month is FAMILY and I have made a series of cards that I will be posting out to each of our nieces, nephew and I just couldn't not make a couple extra for my 2 boys - so there are 8 in total! I guess you could say I have created a Koala Family here. I have cased this card from Chat Wszelaki who has gorgeous version also. A bit further down you will see a collage of all the pieces I used to make them. Here is my version - I love them all! I have used the Chevron Embossing folder for the background, the Project Life corner punch to accent the middle panel, a small Basic Gray twine bow and some cute little punched banners. I love how bright and colourful they turned out. Sending lots of love out to all my little Aussies - Andrea, Antonia, Alexandra, Aylani, Aden, Saria, Gabriel & Marco!! these are so cute Carolina, you are so talented! Too cute. Love that koala bear. Follow Stampin' Up! Demonstrator Carolina Evans's board Stampin' Up! Studio Evans - Created by Carolina Evans on Pinterest. All images are Copyright Stampin' Up! 1990 to present day unless otherwise stated. 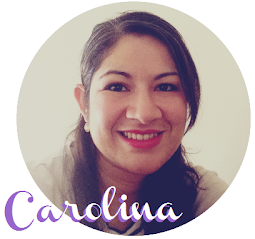 All content is the sole responsibility of Carolina Evans Independant Stampin' Up! Demonstrator and the use of, and the content of services and products offered on this website are not endorsed by Stampin' Up!